U.S. merchant nuclear power plants are losing money selling power into wholesale electricity markets. Two have retired early and more than a dozen are threatened. A recent state regulatory deal to save Davis Besse is promising, but faces challenges. The complicated cases and decisions discussed here are very important to the Davis-Besse nuclear power plant (and potentially other threatened merchant nuclear plants). These cases will provide important guidance to other states. 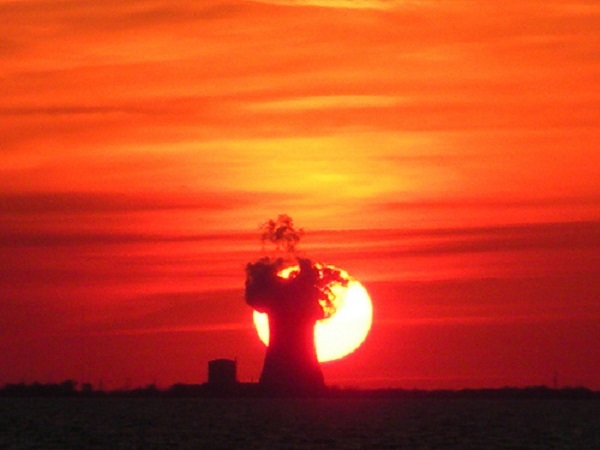 On 31 March 2016, the Ohio Public Utilities Commission (PUCO) approved the FirstEnergy application for a power contract that would prevent the early economic retirement of the Davis-Besse nuclear power plant. The 137-page Opinion and Order reflects a contentious process that took almost two years. Comparison of the revenue from sales of power into the PJM wholesale market and the costs of the power contract, with the resulting net cost or credit included in Rider RRS. If PJM market prices are high, the credit applied to Rider RRS would reduce customer rates. If PJM market prices are low, customer rates will be increased by Rider RRS. According to the application, this plan will ensure that Davis-Besse continues to operate to provide long-term, reliable base load power. The plan will also reduce retail electricity cost volatility, limit future retail market price increases, enhance system reliability, protect jobs, and promote Ohio economic growth and development. This PUCO Order is certain to be challenged in court, with the recent U.S. Supreme Court Decision in Hughes v Talen Energy Marketing Decision potentially setting a precedent. In the meantime, the U.S Federal Energy Regulatory Commission (FERC) issued an Order rescinding affiliate power contract waivers for FirstEnergy that will put this deal on hold. On 27 April 2016, FERC issued an Order rescinding the waiver of affiliate power sales restrictions previously granted to FirstEnergy’s unregulated generation subsidiaries with respect to the power sale contract approved by the PUCO on 31 March 2016. This FERC Order was a response to complaints filed by a group of companies. Electricity industry reform in the U.S. has a mix of federal and state actions. All wholesale power transactions in the U.S. are regulated by FERC and are considered interstate transactions because bulk power moves over transmission lines without respect for state borders. Ohio deregulated its electricity industry by allowing the vertically-integrated utilities in Ohio to move generation assets to a deregulated subsidiary rather than divesting these assets (i.e., as required in some other states). FERC has exclusive jurisdiction on wholesale power contracts between affiliates and evaluates such power contracts under a set of standards intended to protect captive retail customers, prevent affiliate abuse, and ensure that the prices in such contracts are market-based. The earlier FirstEnergy waiver was granted because the FirstEnergy deregulated generation subsidiaries had no captive retail customers. Complaints to FERC argued that the deal approved by the PUCO would require the FirstEnergy regulated utilities to buy power from the unregulated affiliates, including Davis-Besse, and resell this power into the PJM wholesale market. To the extent that these resales of power resulted in losses, the losses would be recovered from all retail customers in the state through a surcharge/rider on regulated distribution charges. Ohio has retail choice and end use customers can select a competitive retail electricity supplier, but all retail customers in the state pay regulated distribution utility charges. In effect, this arrangement means that the FirstEnergy unregulated generation companies now have captive customers. The Complainants also argued that the arrangement would mean that some generation units that would have retired (e.g., Davis-Besse), would remain in operation and artificially suppress PJM wholesale market prices. FERC dismissed these claims of potential adverse effects on the PJM electricity market as irrelevant to the waiver issues upon which this Order was decided. A unanimous opinion was issued on 19 April 2016 by the U.S. Supreme Court that upheld a lower court decision to invalidate a Maryland program to incentivize construction of a new natural gas plant. The Maryland program infringed upon FERC’s exclusive jurisdiction over the wholesale power markets. The decision’s narrow ruling was the Maryland program use of “contracts for differences” with a power plant developer based on the new power plant sales in the PJM capacity market. The Maryland program would guarantee a price for capacity from the plant, making up the difference between that guaranteed price and the price in the PJM capacity auction, with the difference payments passed on to Maryland retail electricity customers. This Supreme Court decision affirmed that states may use incentives to encourage power plant construction, including “clean” power plants. The narrowness of the Hughes decision may mean that there is little guidance for other states, aside from avoiding arrangements that are the same as the Maryland program. It is unclear how the Hughes Decision will apply to the Ohio deals or how lower courts will apply the Hughes Decision in other cases. The bright line between FERC jurisdiction over wholesale markets and state jurisdiction over retail markets is becoming more blurred. The traditional role of state governments and utility regulators to manage the electricity industry in their state is diminished by this decision. Three articles on this decision are recommended. The first is an article in UtilityDive by Robert Walton, with input from Travis Kavulla (President of NARUC). The second is from the Natural Resource Defense Council (NRDC) on why the Hughes decision should not change renewable mandates or similar state programs, including the proposed New York State Clean Energy Standard. The third is the SCOTUS Blog Opinion Analysis on how this decision enhances FERC powers. Complainants in Docket No. EL16-34-000 are the Electric Power Supply Association, the Retail Energy Supply Association, Dynegy Inc., Eastern Generation, LLC, NRG Power Marketing LLC, and GenOn Energy Management, LLC.